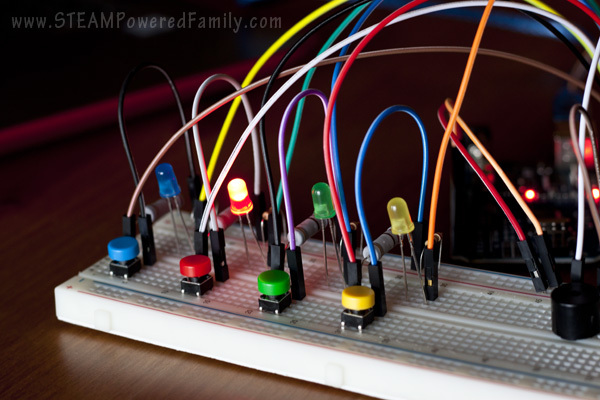 There is something about building electrical circuits for kids. The builds are challenging, but they are also rewarding in a way not often found in lessons. 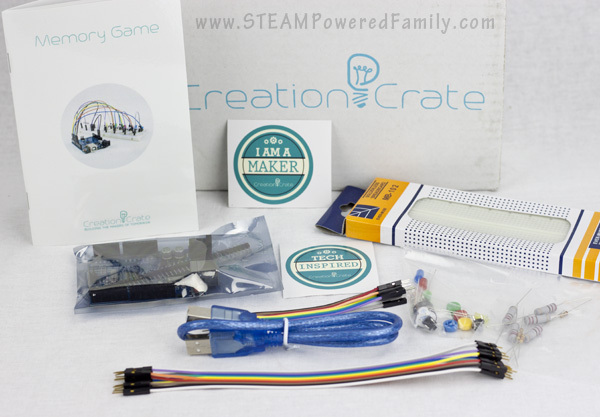 We are big fans of Creation Crate a subscription box series that teaches engineering of electrical circuits and coding. 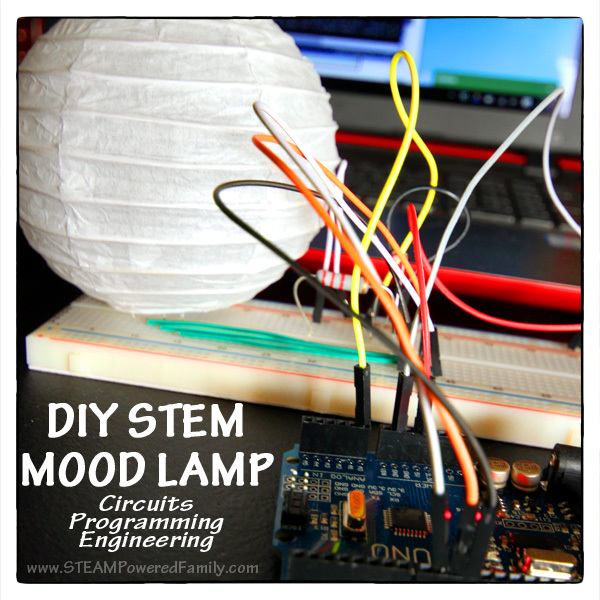 With the first box we built a mood lamp. This time it was a memory game. The build was fun, only to be topped by the hysterical challenges we had against each other in a series of memory battles. Disclaimer: This article contains affiliate links for your convenience. I was given the educational series for my honest review. All comments, thoughts and impressions are my own. When picturing electrical circuits and kids, you may be seeing a high risk activity, but that couldn’t be farther from the truth. There is no risk of electrical shock with this build. 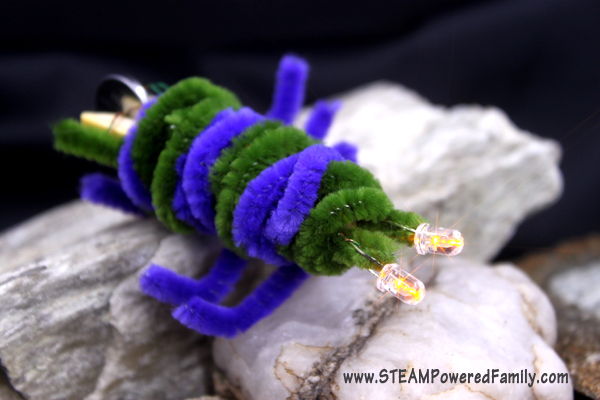 It is a solderless build using premade wires and a breadboard that is very safe. Everything you need comes in the kit but even if you get stuck, there is a password protected page with lots of great help files. For this build we had to consult the help files to get larger print outs of the schematics. At our age, seeing the minute detail on those tiny images in the instruction booklet simply wasn’t happening. I appreciated the ability to get larger images easily. To do this project you need an eye for detail. 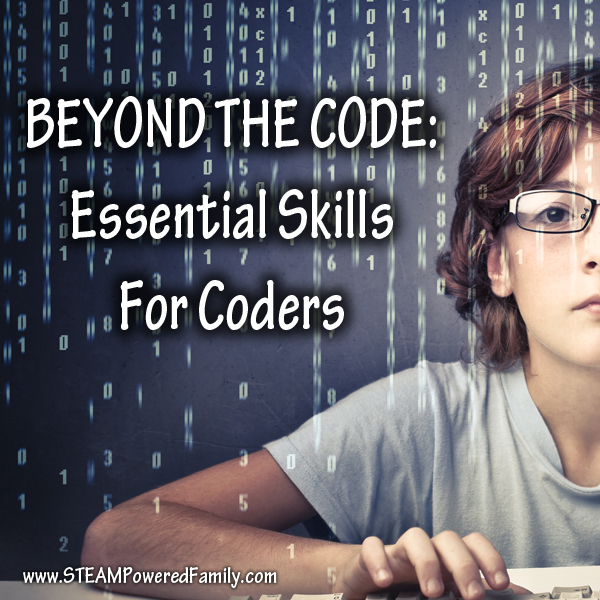 If you’ve ever done any circuits or coding work, you are likely already familiar with this need. These skill sets leave zero room for error. Over by one hole on the breadboard? The whole thing fails. Missed a single character in the hundreds of lines of code? The whole thing fails. Once your child is old enough to focus on the details and follow directions to the letter, plus have an interest in circuits and coding, they are ready for Creation Crate. So why do we love Creation Crate so much? This subscription box program is set up so everyone gets the boxes in order. Everyone starts with the Mood Lamp build, then the next build is this Memory Game. Each box builds on the skills and knowledge you developed in the previous box. The program grows with you! This is such a unique approach to the masses of subscription boxes out there, it truly is focused on educating it’s users in a productive, long term way. If you are interested in learning circuits and coding, would like to learn Arduino and breadboards, then this is the perfect tool. 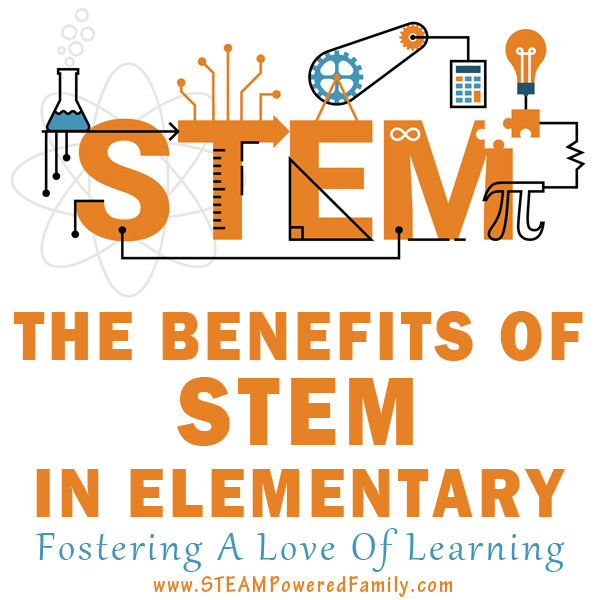 Their mandate is “building makers of tomorrow” and their approach to teaching electrical circuits for kids is spot on. Building this Memory Game project became a family activity. I’ve been very sick and weirdly developed infections in both my eyes. Remember I mentioned tiny print and attention to detail? Well that wasn’t going to happen for me, so my husband took the lead on building the circuit board. Then I worked with my son to do the coding. And you know what? It worked the first time! It was a wonderful family project. Once built, we all took turns playing the memory game. Ours did one weird thing. The game lights up one light, you tap the button, then it is supposed to do that light plus another one, but for some reason ours double beeped on the first light on the second and third rounds, then it would go back to single beeps. It was a little weird, but once we knew the quirk we could work around it. I’m not sure what was causing that issue. Follow the lights and pay close attention… how far can you get! Make a mistake and you get the double, all lights flashing and buzz of doom! The buzzer was quite annoying and loud, but the instructions come with details on how we can add an included extra resister to change the buzzer tone and loudness. We just might do that. The book also includes further lessons and challenges, which we will tackle in a bit. Right now we are just having fun playing! Here is a video of our build in action. Please excuse my croaky voice, this bug really hit me hard! I was chugging tea and honey right before this, just to get my voice that clear. Thanks for understanding! 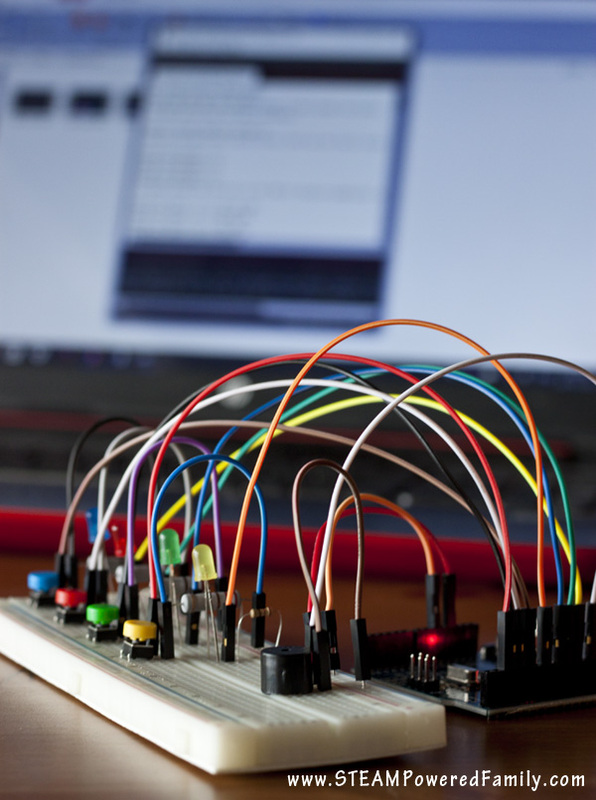 You can start your own journey into coding and electrical circuits by joining Creation Crate. 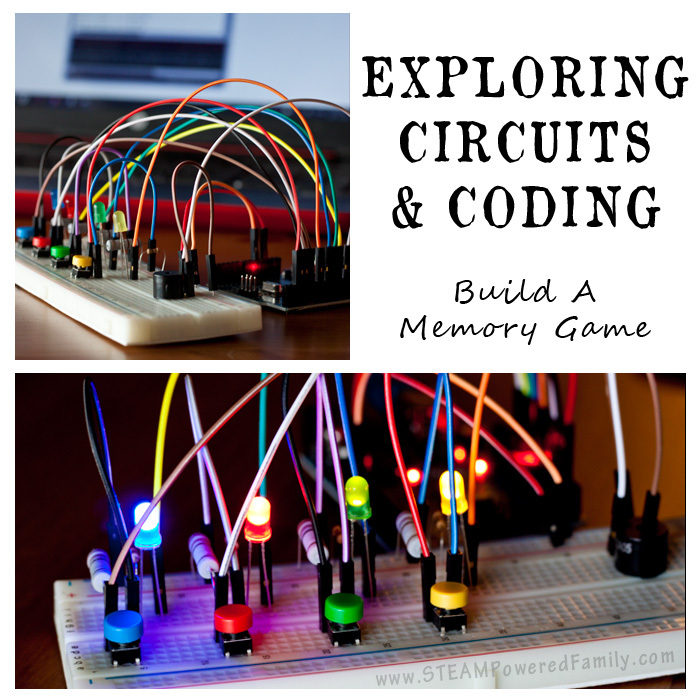 Looking for even more circuits and electronics resources? 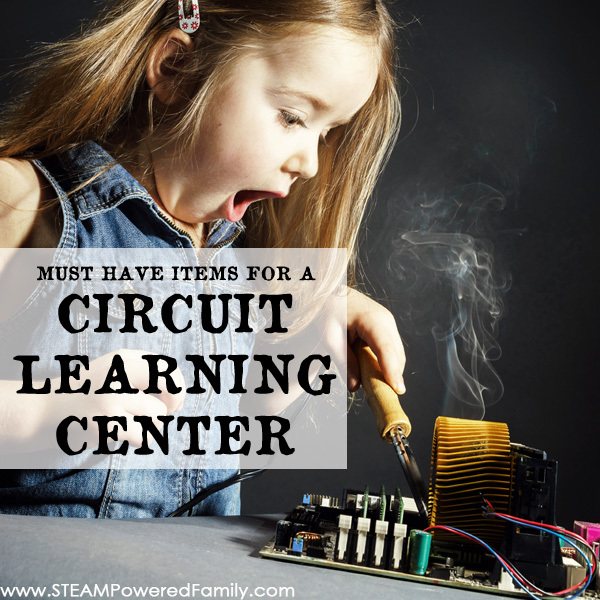 Check out our circuit learning center ideas, plus these great circuit products. 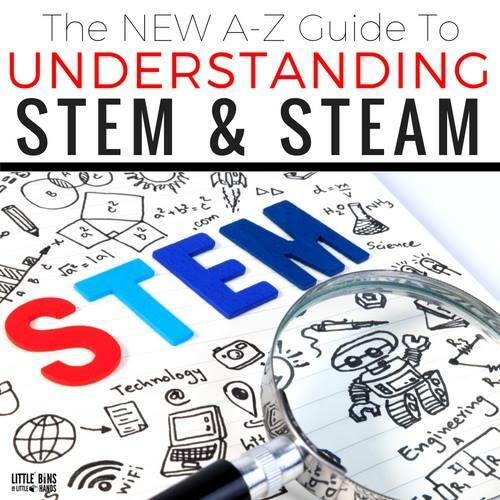 This post is part of the series Understanding STEM. Get more great articles here! Where can I get a ‘Creation Crate Memory Game Kit’? The link is also available through out the article as text links and by clicking on my images of the project.